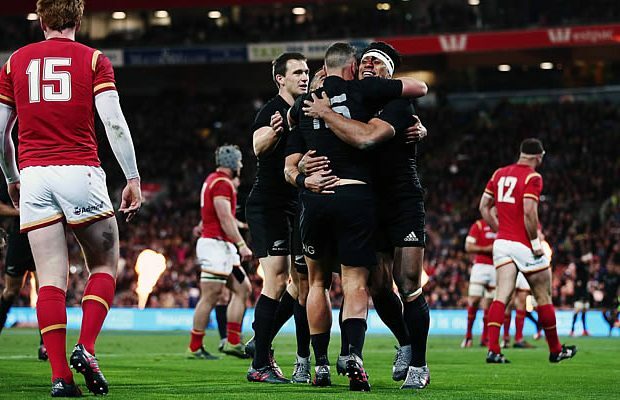 Rugby World Champions New Zealand romped to a 36-22 victory over Wales to seal the three Test series victory for the All Blacks. The ruthless All Blacks outscored Wales by five tries to three in the match with Israel Dagg and Ben Smith both crossing for tries in their 50th match for New Zealand. The two sides were level 10 all at half time before the All Blacks raced out to a 26 point lead. Wales scored two late tries to make the scoreline a little more respectable. Valiant Wales kept pace with New Zealand for 51 minutes but had no answers when the All Blacks went up a notch, orchestrated by Beauden Barrett and Aaron Smith. Wales coach Warren Gatland said his side was competitive but a three-try burst early in the second half effectively sealed the result for the New Zealanders. “I’d like to think they’ll know they were in a tough Test match tonight,” he said. Wales repeatedly worked themselves into threatening positions, only for attacks to falter through basic mistakes. Injuries to key players Aaron Cruden and Malakai Fekitoa meant the All Blacks never reached their slick best in the first half, with scores tied 10-10 at the break. Skipper Kieran Read paid tribute to Wales, saying the All Blacks were unable to find their rhythm until after the break. “They came out flying at us and we had to dig deep. They’re an exceptionably good side, they pushed us and we had to work really hard,” he said. New Zealand suffered a setback in the first two minutes when Fekitoa was forced into the blood bin after a head clash with Jamie Roberts. Wales ran at his inexperienced replacement Seta Tamanivalu but failed to capitalise and Fekitoa helped set up Israel Dagg’s 20th-minute try when he returned. Dagg, playing his 50th Test after 10 months in the international wilderness, wrong-footed the Welsh defence with a dummy pass before touching down. Fly-half Cruden was stretchered off eight minutes before the break with a possible neck injury, with Barrett coming off the bench. Wales lifted their intensity before half time and were rewarded with a 39th-minute try when Jonathan Davies’ looping pass found Alun Wyn Jones unmarked on the wing. Fekitoa did not come back out for the second half, which started as an arm-wrestle with scores locked 10-10. 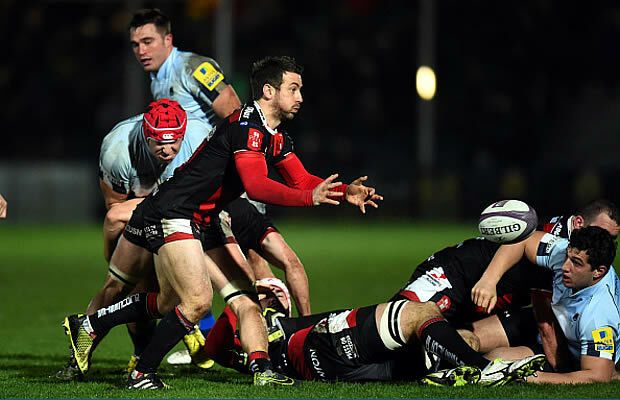 Ben Smith broke the deadlock when he slipped through two defenders after Barrett set him up in the 51st minute. Smith returned the favour for Barrett three minutes later, with the fly-half stretching out to dot the ball between the posts and make it 24-10 with the conversion. From there it turned into a romp as Smith set up Waisake Naholo five minutes later to put the result beyond doubt. 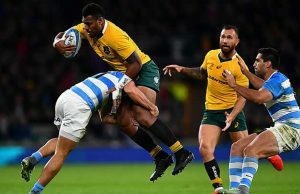 The relentless All Blacks were still not done and Ardie Savea burst from deep within his own half for another five-pointer to send the sell-out crowd of 36,000 into a frenzy. Liam William and Jonathan Davies both scored consolation tries in the last 10 minutes but by then it was too late. Next week the teams meet again in Dunedin where Wales will have the chance to earn a consolation victory.